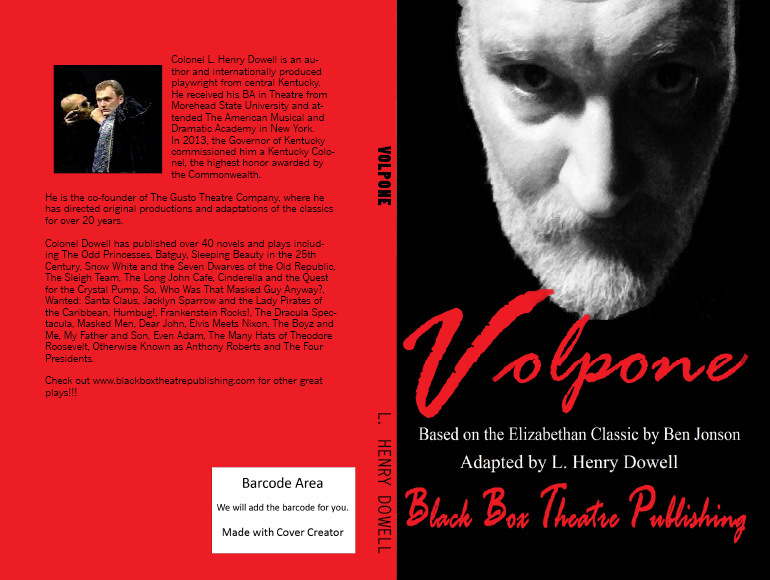 Black Box Theatre Publishing Company - VOLPONEBased on the Elizabethan classic by Ben Jonson.Volpone is a greedy, miserly, old man who lives for excess. He wants everything he sees and he won't be statisfied until he has it all! But what happens when he takes it too far? Find out in this great modern text version that'll have audiences rolling in the floor with laughter! Cast Size: 14 flexible M/F roles with some doubling possible. Running Time: 120 minutes. Royalty: $50.00 per performance. Apply here.﻿﻿﻿Click here to order scripts directly from us. ﻿﻿ Click here to order through Amazon.Appropriate for adult audiences. Based on the Elizabethan classic by Ben Jonson. 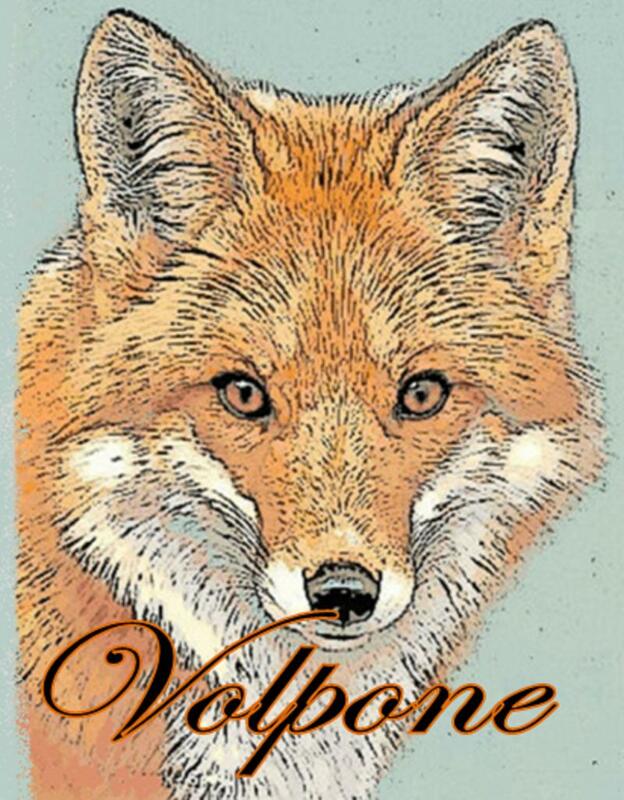 Volpone is a greedy, miserly, old man who lives for excess. He wants everything he sees and he won't be statisfied until he has it all! But what happens when he takes it too far? Find out in this great modern text version that'll have audiences rolling in the floor with laughter! Cast Size: 14 flexible M/F roles with some doubling possible.